Helps to combat dermal infections. Known to control itching associated with dermal infections and allergies. 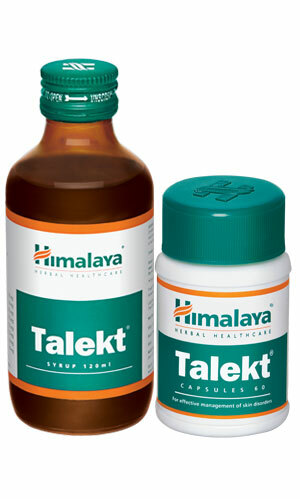 Helps to enhance the immune response to dermal infections. Children: 1 teaspoonful (5 ml) twice daily. Capsule: Sealed pack of 60 capsules. Syrup: Pilfer-proof bottle of 120 ml.